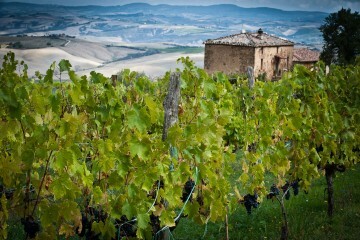 The vineyards of Il Marroneto extend on the north slope of the hill, about 350m high, in the immediate vicinity of the walls of Montalcino. 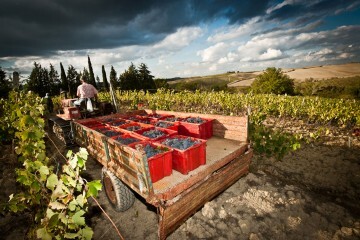 The first 3000 meters of vineyard were planted in 1975, then, as many in 1979 and finally in 1984, the last 9,000. 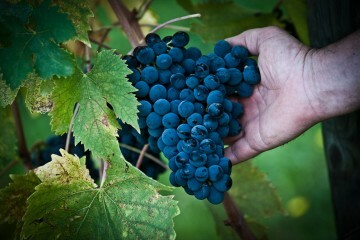 Great attention has been paid to the system, finalizing any work at obtaining the highest quality grapes. For this reason the vines of Il Marroneto are arranged so that each plant has available 3.6 square meters, allowing the vine Sangiovese, which feeds on the surface, to have space for a good rooting. The management of the vineyard, then, is based on a traditional and minimalist philosophy that borrows practices and systems used in respect of the plants, treating the vines the bare minimum and avoiding intensive production. From here the practice of natural grassing, that allows to control the vigor of the vines, with longer times of pollination and pruning in March, leaving the plants the time needed to rest. 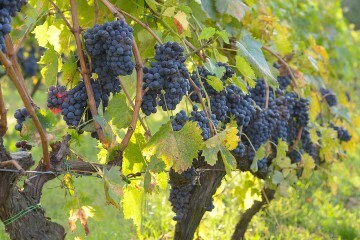 A key moment is the harvest: the bunch is harvested only when the stalk starts to turn on the burnt color tones , indicating that the grape seeds have reached the right maturity. The grape seeds, reached appropriate ripening, give the wine the vegetable tannins, essential for making the wine young, brilliant and durable.